Just a few days ago I blogged about iPhone applications. 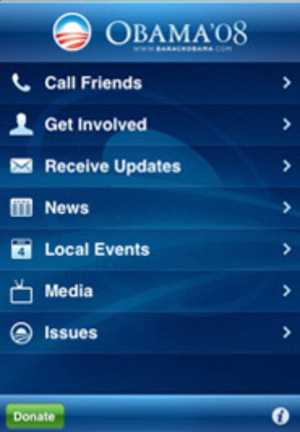 Little did I know, the Obama/Biden campaign has an official iPhone application. CLICK HERE to find out more about it.